Savannah Tarbet is the AEDC’s Digital Media Marketing Intern. 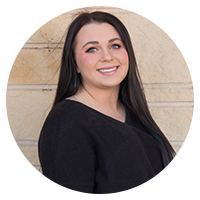 She is a student at West Texas A&M University and is pursuing a bachelor’s degree in public relations, advertising, and applied communication with a minor in marketing. She graduated from Amarillo College with an associate degree in mass communication and received a certificate in online marketing. Savannah brings her experience from various media fields to the team, including public relations, journalism, radio, video production, and digital design.